Hit the slopes in style with your very own timeshare at the Sweetwater Park City Lift Lodge. Find timeshare resales and rentals at prices up to 70% lower than retail costs with SellMyTimeshareNow.com. What’s My Lift Lodge Timeshare Worth? High up in Utah's majestic Wasatch Mountains, the Sweetwater Park City Lift Lodge offers impeccable access to ski lifts and gorgeous mountain views. Just a few blocks from Main Street, you'll find this luxury resort offers the best in on-site amenities and services to its guests and owners. Explore the year-round outdoor pool, convenient ski-in, ski-out access, a fitness center complete with a sauna and hot tub, and so much more. 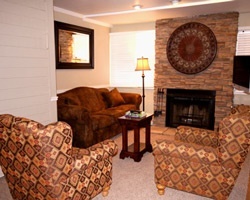 Ideal for creating great family vacation memories year after year, you'll enjoy your annual trips to Park City to their fullest with a Lift Lodge timeshare. 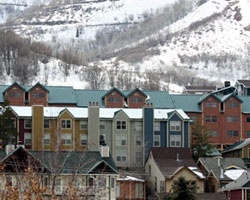 The accommodations at the Park City Lift Lodge include condo-style units that range in size from studios to three-bedroom residences. Ideal for couples as well as large families of up to eight, there will be space for you at the Lift Lodge regardless of party size. 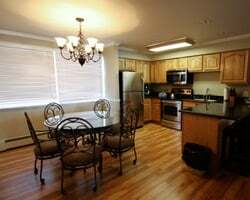 Equipped with modern furnishings and decor to create a comfortable stay, the suites at the resort feature desirable in-unit amenities like kitchen facilities, fireplaces, free WiFi, and spacious living areas to ensure everyone has room to stretch out. Are you ready to find the vacation accommodations of your dreams? Fill out the form on this page to learn more about owning a timeshare at the Sweetwater Park City Lift Lodge, or call a representative at 1-877-815-4227. Buying a timeshare resale at the Sweetwater Lift Lodge can unlock years of trips to the Salt Lake City area at a fraction of the price others pay. Because timeshare resales are sold by owners, and not by the resort itself, prices often fall much lower than what's available through retail. This leaves deal-seeking travelers like yourself in luck—you can find exclusive ownership options at the resort priced up to 70% under retail costs, giving you a lifetime of cost-efficient trips to the Rockies. Resales at the resort typically come in the form of deeded fixed and floating timeshare weeks spread throughout the calendar year. The variety of seasons and intervals of ownership results in a completely customizable solution for prospective owners—you can find an ownership option that meets your specific price point and vacation needs without having to overspend. Timeshare exchange exists as a solution for timeshare owners who seek to gain new experiences and discover new destinations across the globe. Luckily, the Lift Lodge Park City is affiliated with RCI, the largest timeshare exchange brand in the world. All you need in order to start exchanging is an RCI membership to pair with your timeshare. After you acquire that, you can deposit your Park City accommodations and choose from a litany of other vacation options around the globe—spend a year on the beach in Florida, or opt instead for an international trip to Mexico, the Caribbean, or elsewhere. Regardless of where you choose to go, you can go there by exchanging through RCI. 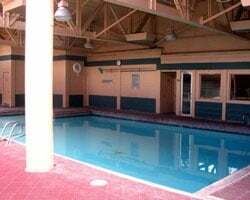 Timeshare owners at the Lift Lodge will be delighted to find an array of fantastic on-site amenities and services available to take advantage of. Swim in the year-round outdoor pool, or find 'round-the-clock entertainment in the resort's game room. Ski out of your condo-style units to nearby lifts to enjoy days of instant skiing among some of Park City's best slopes. Hit the fitness center to stay on top of your exercise goals, or simply lounge in the sauna to really relax. Around the resort, you'll find a number of things to do and see to make your vacation to Utah one to remember. Adventure around the Park City Mountain Resort to enjoy all the skiing, snowboarding, and hiking your heart could possibly desire. Switch it up by exploring Deer Valley, or tour the Utah Olympic Park built for the 2002 Winter Olympics. Stroll Main Street to discover boutique shops and restaurants in a quaint mountain setting. Finally, don't miss the world-famous Sundance Film Festival, held annually every January right in Park City. Already Own at Sweetwater Park City Lift Lodge?